Are you ever browsing through recipes when all the sudden one of them hits you and you want to stop what you’re doing and immediately make it? Make it so badly that you’d buy a ticket to Italy on the spot just to get your hands on that one ingredient you need? Okay, so maybe not quite that dramatic- but the impetus is there. That, my friends, happened to me today. It started innocently enough, I was reading articles on NPR’s website for Pete’s sake! Somehow, I stumbled upon this gem of a recipe for a Mediterranean flatbread I’d never heard of called coca, a specialty of Catalonia. Tender yeasted-doughs, pita-like, they are rolled flat and topped with deliciousness. They can be sweet or savory, and are generally grabbed by the slice at bakeries that serve them for a quick lunch or snack. I’m not sure if it was because just the other night my brother had been telling me about his trip to Spain a year ago, and how nice it was to walk around the city the whole day and munch on small bites, or if the Pittsburgh winter is just getting to me (oh, and it is), but I wanted to be in Spain pronto (or however they say it in Spanish)- but decided I’d settle for some coca. The only thing preventing me was my lack of semolina flour. Normally, I might try to find a substitute, but I wanted the real thing. 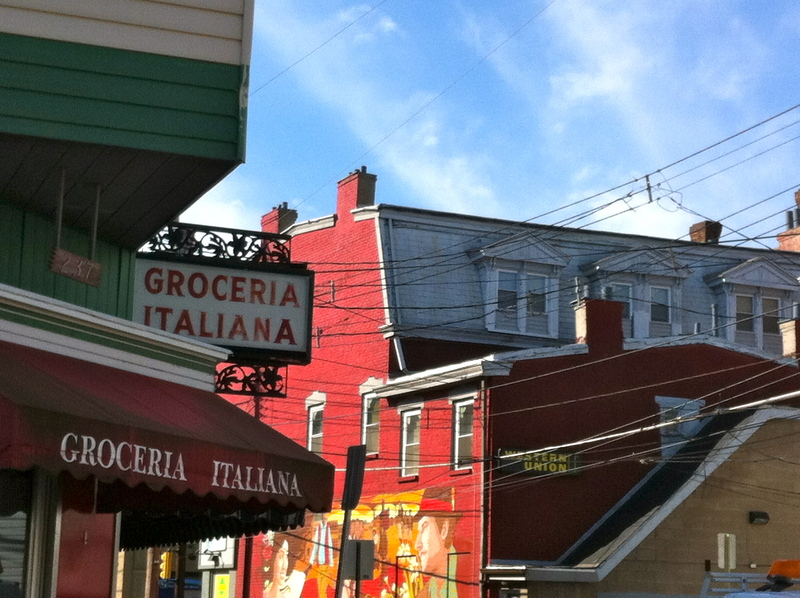 So I walked to Italy to help me get a little closer to Spain… well, Pittsburgh’s Little Italy. 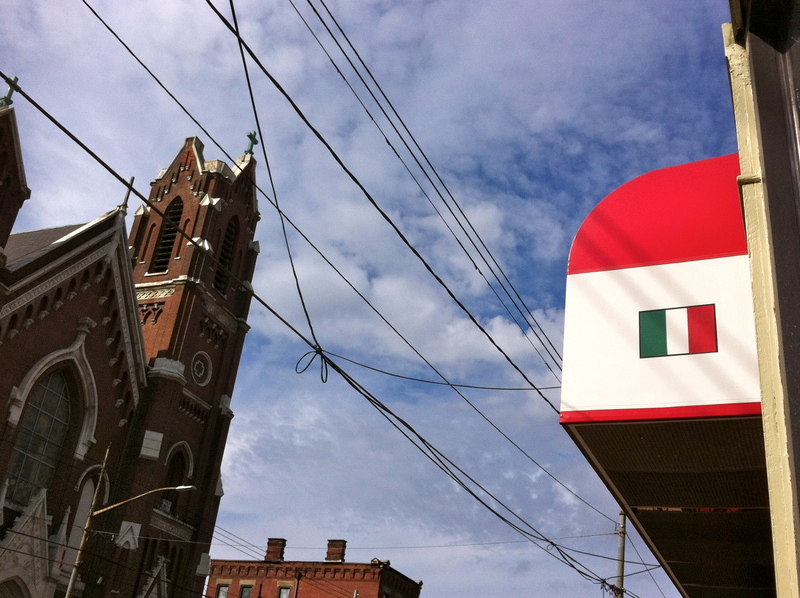 Fortunately for me, it was a beautiful day- I almost could believe I was in Italy, er Spain… er, somewhere that wasn’t February in Pittsburgh. 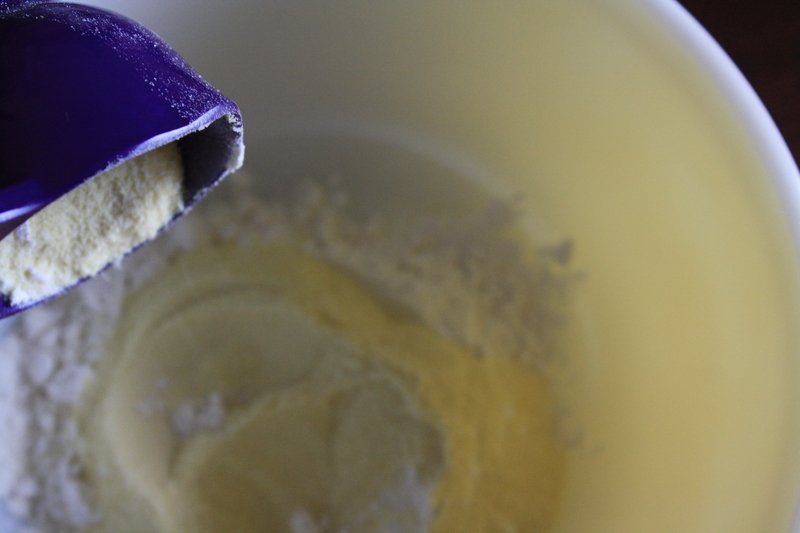 I grabbed a bag of semolina flour (plus 2 onions and Cadbury mini-eggs, all for less than $4 might I add!) and strolled back. Hello there, dough-ball! This would be a great thing to make the day before, as the recipe says you can put it in the refrigerator overnight at this point for use the next day. I chose the other option, letting it rise for about 2 hours on the counter, and refrigerating it until dinner later that day. When dinner-time finally arrived, I cranked my oven up to 500°F and sautéed some onions. When they started to become golden I tossed in spinach to wilt, followed by raisins and chopped almonds. The dough rolled out easily, no flour necessary to prevent sticking! I imagine most people would use a rolling pin for this, but I am rolling pin challenged due to a recent move, so a spare jar worked for me. 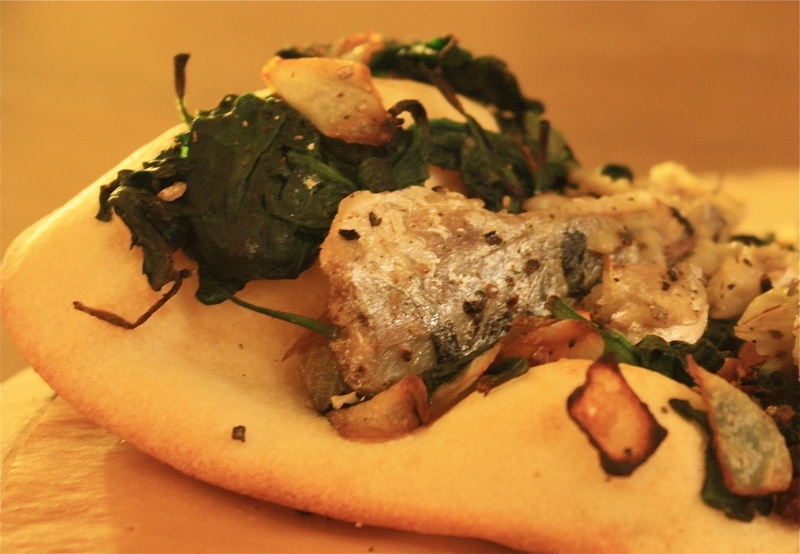 The dough got topped with the spinach mixture, I added some sardines (although if I make this again, I will use the anchovies the recipe suggests), and popped it into the oven for about 5 minutes. Spain has never felt so close! The coca, although thin, was crisp on the outside but tender on the inside. Use your imagine, top with whatever your heart desires. These would be a great way to use up leftover veggies or meats, or served plain with a drizzle of good olive oil, salt, and herbs. If you’ll excuse me, I have some more coca to eat. Basic Coca Dough– adapted from NPR (note: I’ve posted the success I had making 1/3 of the original recipe, which is enough to serve 1 very generously or two with a nice salad. Makes 2 coca, about 10 x 5 inches). Place the water, sugar and yeast in a bowl and let sit for a few minutes to soften and bloom the yeast. Add the olive oil and salt. 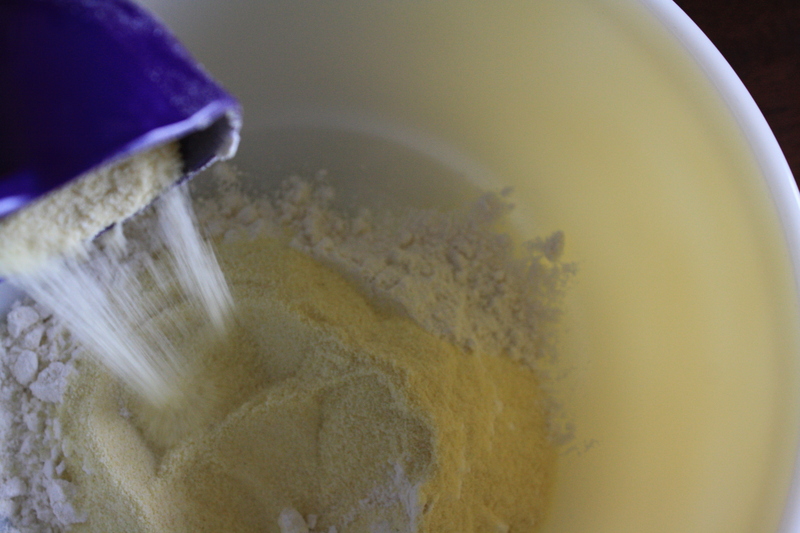 Using a wooden spoon, mix in the semolina and the flour (or you can use a mixer with a dough hook). 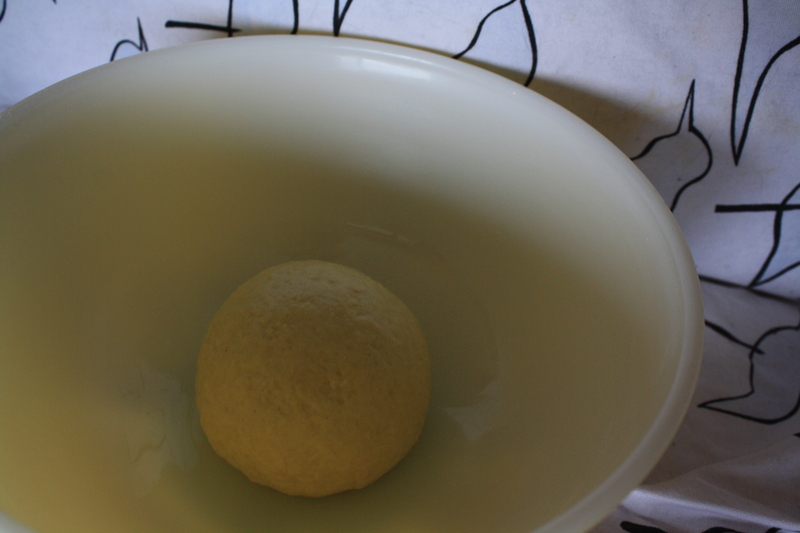 When the dough forms a ball, turn out onto counter and knead for several minutes. If the dough does not come together, add a tsp of water at a time to the dough, until a ball forms. The dough is not very tacky, so I did not need to flour my counter. The dough is ready when it is somewhat stiff, smooth, and supple. Coat the dough with oil and let rise for 1-2 hours (longer if you used active yeast, instead of instant) in a covered container. Dough will double about 1.5X in size. Refrigerate until ready to use. Alternatively, you can skip rising it on the counter and just place it in refrigerator overnight. Place pizza stone in oven if using, and preheat the oven to 500 degrees. Take the dough out of the refrigerator to warm up. Heat the olive oil in a large pan over medium, add the onion, season with salt and pepper, and and sauté. When soft and lightly golden, add the baby spinach and cook until wilted. Cook off any liquid that forms. Remove pan from heat, and add the raisins and nuts. Salt to taste. If using sardines, you’ll want to use more salt than if you’re using anchovies, which are saltier. Add a pinch of red pepper flakes, if using. 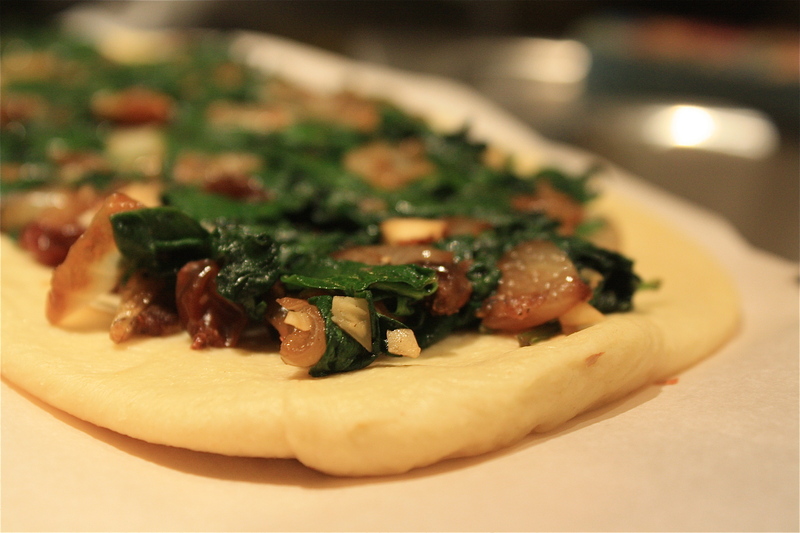 Divide the dough in half and roll out each into an oval shape, about 10 x 5 inches. Place on parchment lined, or cornmeal-sprinkled pizza peel (if transferring to pizza stone) or a parchment lined cookie sheet. Divide the spinach mixture evenly between the two coca, and top with fish if using. Transfer to oven and bake until the dough is lightly browned, about 5 minutes. Remove from oven, let cool slightly, cut into pieces and enjoy! Spain is only a bite away. We made this dough last night and it came out perfectly. Thanks for the great recipe! This looks beautiful … I may just try this TONIGHT! Forgive me for being stupid, but what is on top in that second picture? It looks delicious! Apologies for my delay in response, I’ve been traveling! I hope that you did make this, I’m going to make it again this week- it was quite tasty. I think what you’re looking at is a sardine, all crisped up from the oven. Let me know how it goes if you do make it, enjoy! I’ve been on a pizza kick lately, and this is like a fancy upgraded version… thank you! Can’t wait to try it. Might throw some mushrooms on it, too. I really enjoyed it the first time around, I think mushrooms would be an excellent addition! Next time I make it, I think I’m going to keep it really simple- maybe mushrooms and herbs, so I can focus on just the delicious coca dough. Hope it turns out!